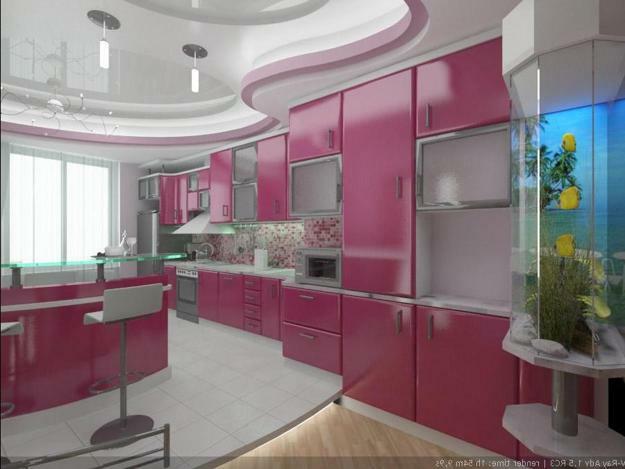 Retro modern kitchen design is charming and gives a feel for the era that inspired you. 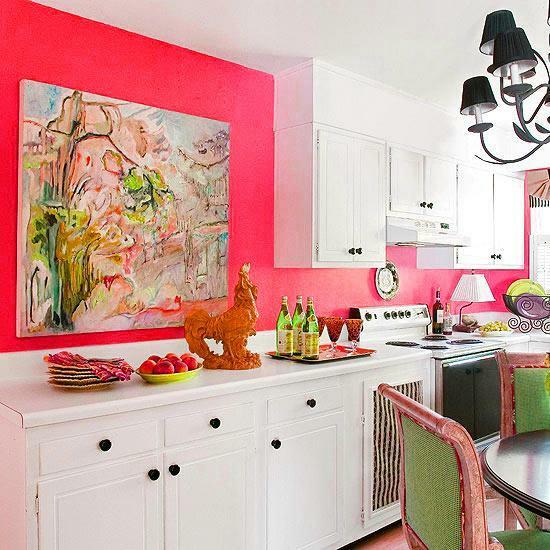 The trick of creating beautiful retro modern kitchen design and decor is to combine retro accents with bright kitchen colors, and choose the stylish retro ideas that match the rest of your home interiors. 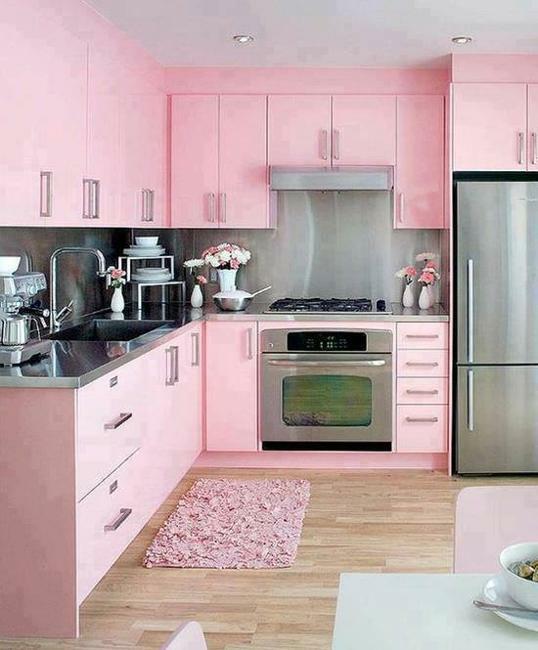 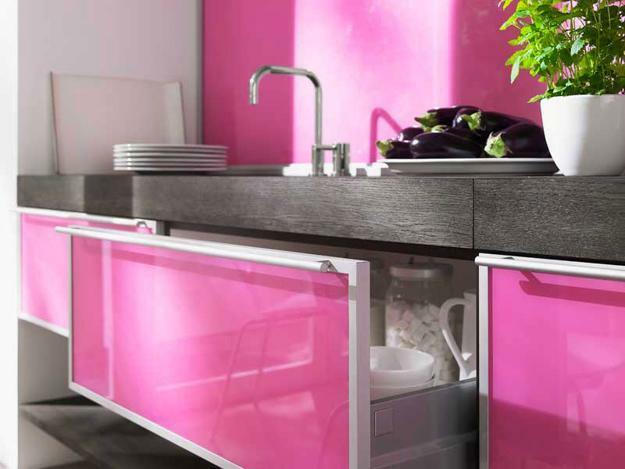 Lushome shares a collection of modern kitchens designed with purple and pink colors. 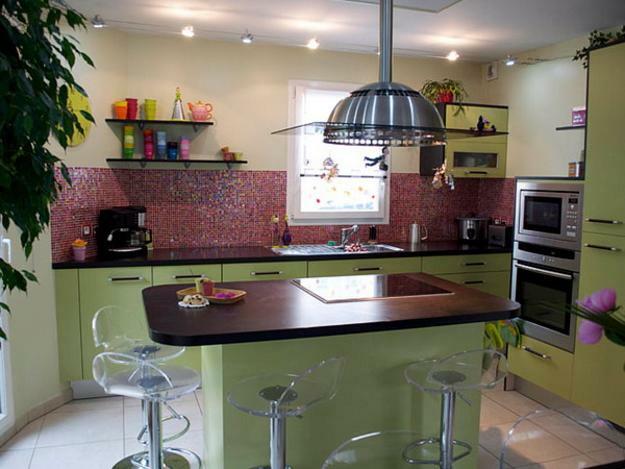 A smart balance of retro styles, functionality and playful kitchen colors gives the recipe for attractive and comfortable, modern kitchen design and decor with a retro touch. 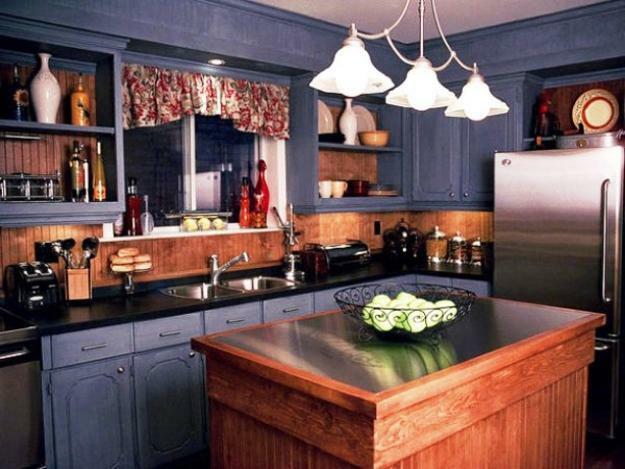 Classic and contemporary kitchen design, spruced up with retro kitchen colors, happen to be the most popular among the easiest ways to bring retro style into homes and create bright, unique and modern kitchen design. 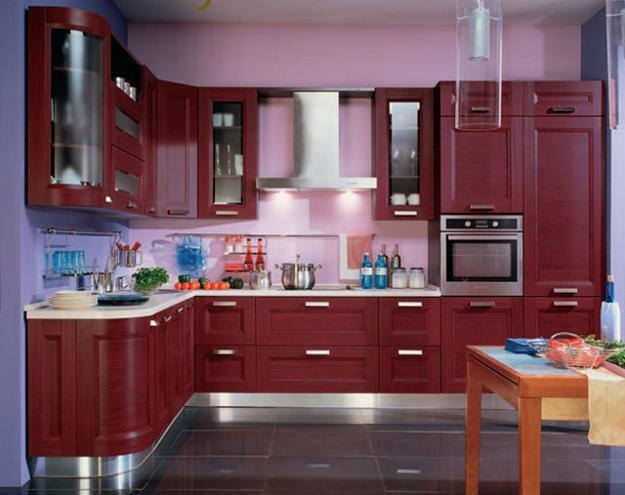 Purple and pink color hues can jazz up even black and white kitchen colors and bring live into modern kitchens in neutral colors. 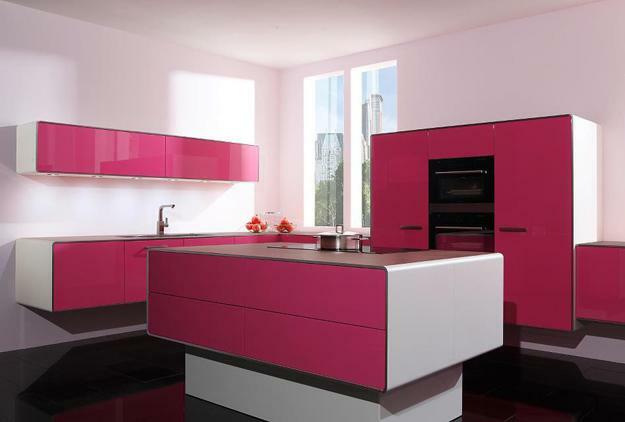 Black and white decorating ideas look fabulous with purple and pink color accents. 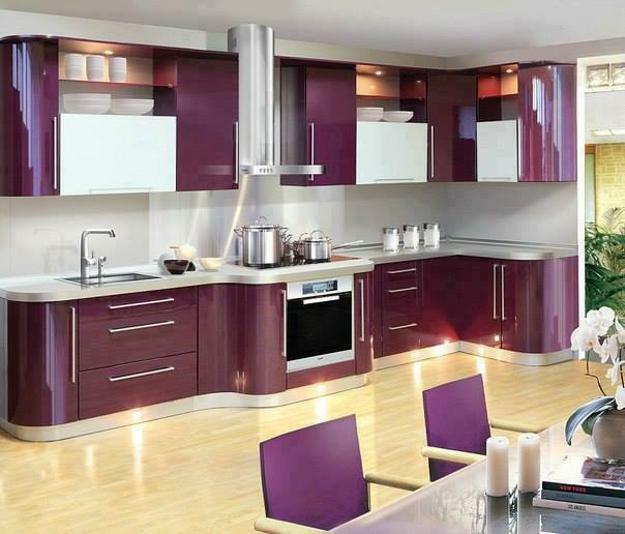 The contrasting neutral colors, combined with purple or pink color, add character to modern kitchen design with retro appliances and decorations in vintage style, and bring a touch of retro styles into kitchen decor. 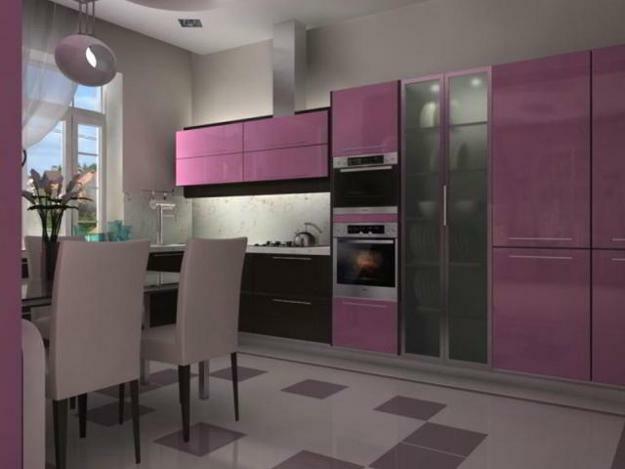 Purple and pink color schemes that include classy black and white decorating elements are beautiful, harmonious and romantic. 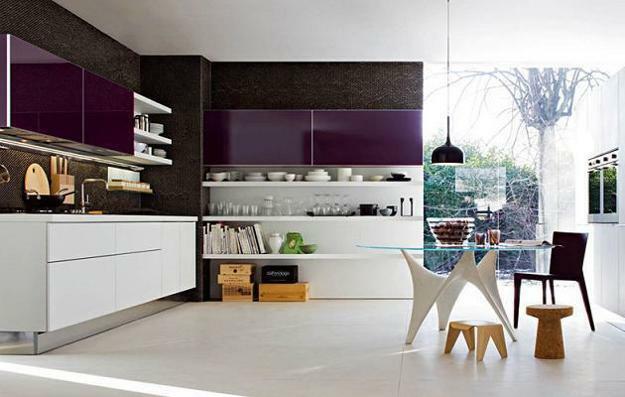 Black and white checkerboard floor, purple or pink walls or kitchen cabinets create interesting modern kitchens. 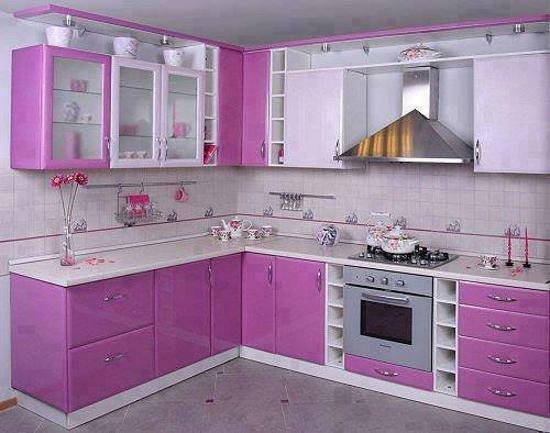 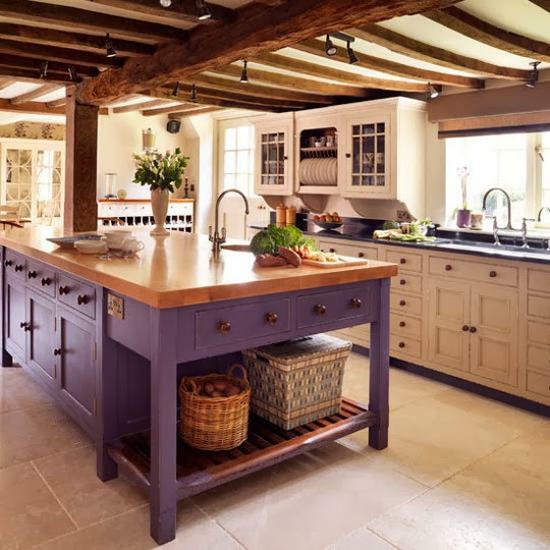 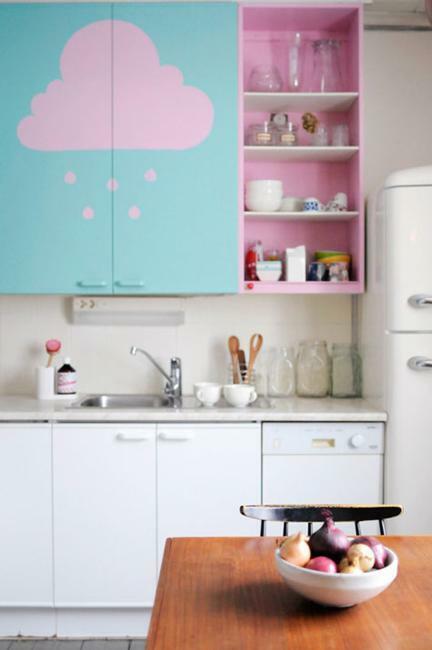 If you have white kitchen cabinets, you can go wild with purple and pink. 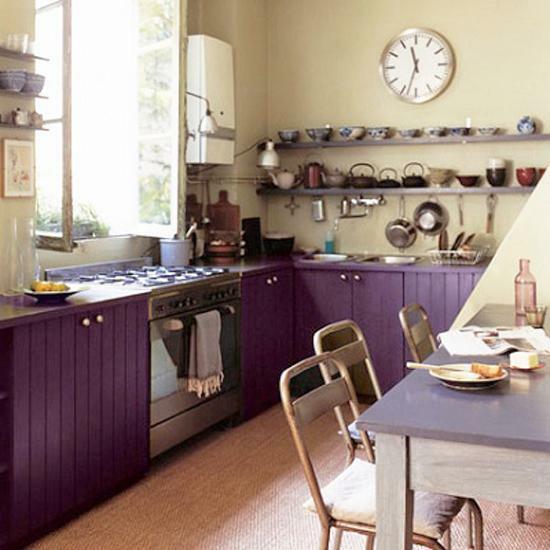 Shocking purple or pink walls, purple or pink window curtains, wall shelves, lamp shades, kitchen accessories or flower pots in purple or pink color shades are just a few ideas for creating modern interior design in retro styles with these kitchen colors. 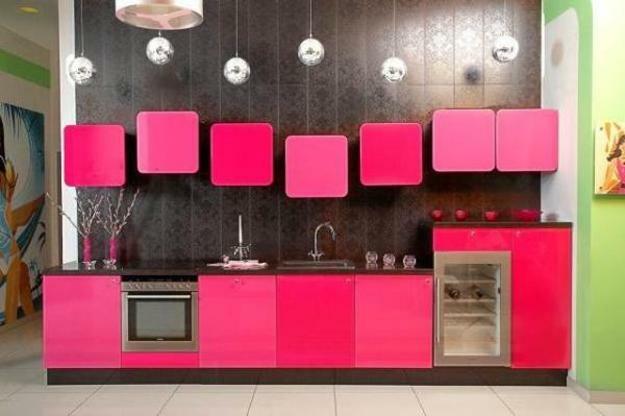 Modern kitchen accessories, decorating fabrics and wall paints in purple or pink color tones are wildly available, versatile and suitable for many creative kitchen decorating ideas. 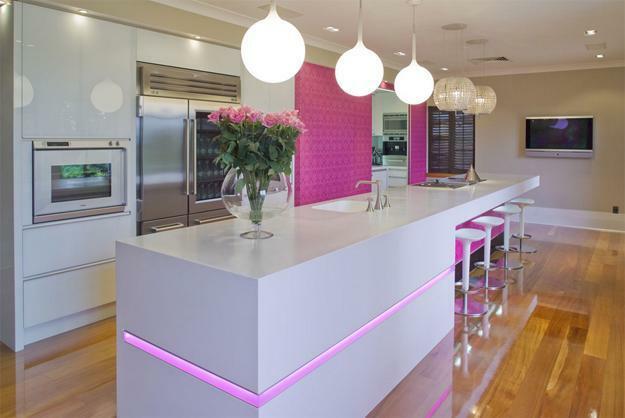 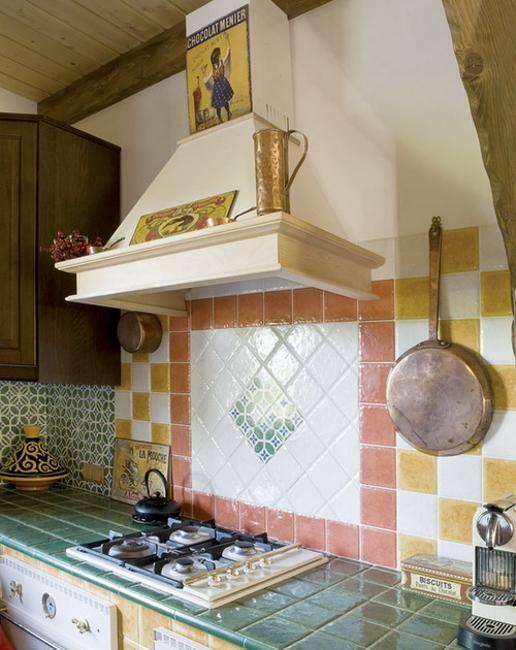 If your kitchen cabinets or splashback designs are in cream, light beige or light gray color, bright purple or pink color tones for walls and accents will make your kitchen design and decor appear brighter and more vibrant. 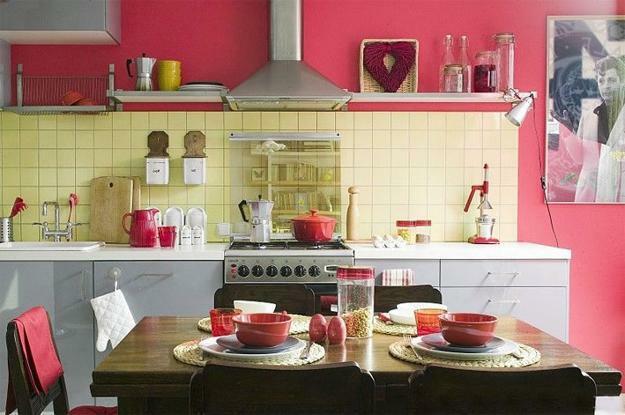 It is very easy to use these retro kitchen colors for interior design and decorating color schemes and add unique personality to modern kitchen design. 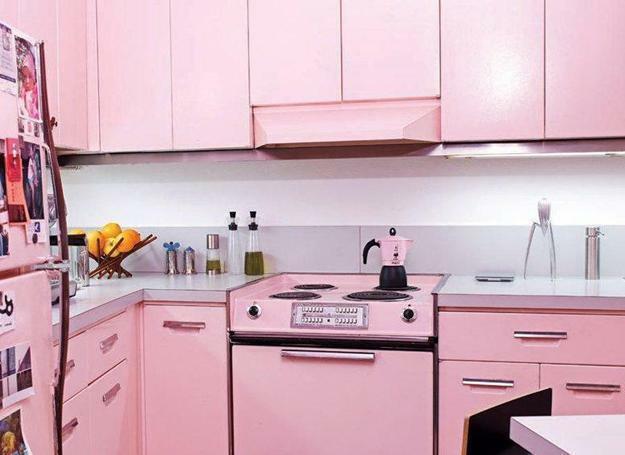 Retro kitchen appliances and accessories are available in purple and pink colors, so your can use them to brighten up your kitchen design in neutral colors, soften and personalize the space with unusual and romantic purple and pink kitchen colors.